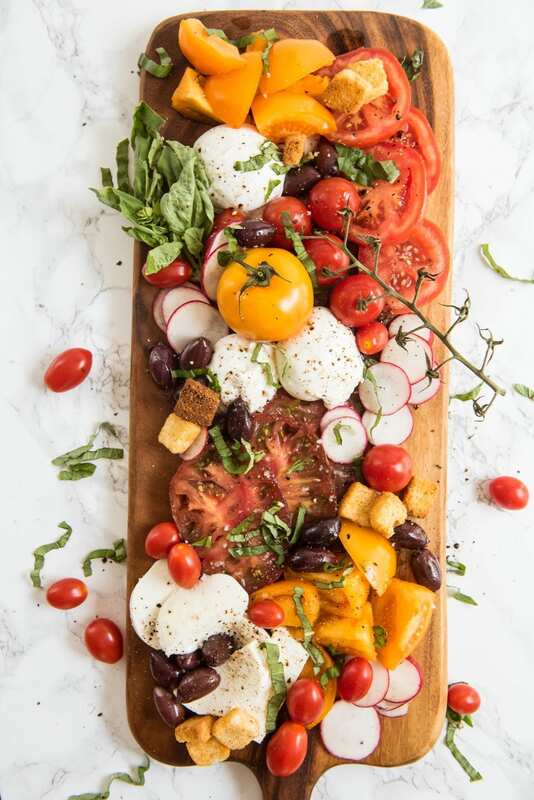 Over the last few years I’ve been really into arranging a bunch of food on a board and serving it up as a casual weeknight dinner, a great party appetizer or a delicious mid-afternoon snack on a weekend. 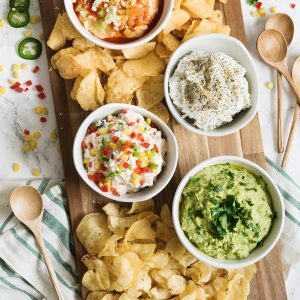 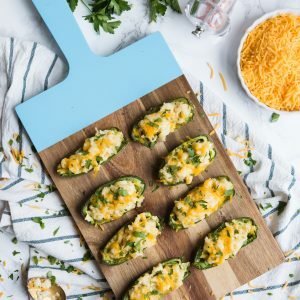 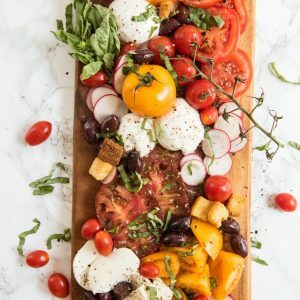 Something about food on a board is just so damn enjoyable, and people naturally seem to love food that’s interactive, which is why this one would make such a good addition to your next party. 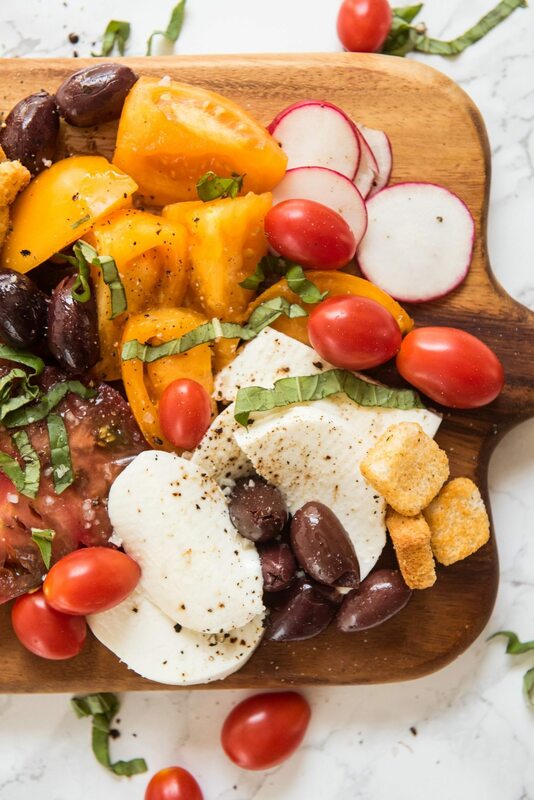 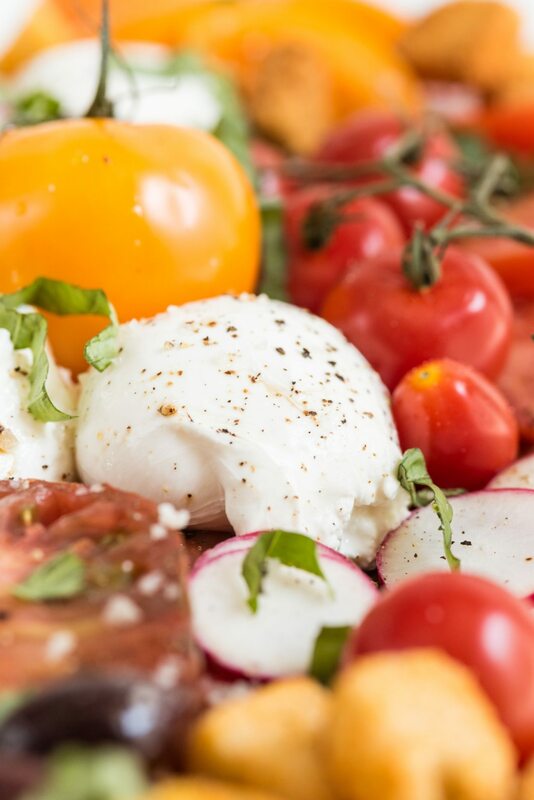 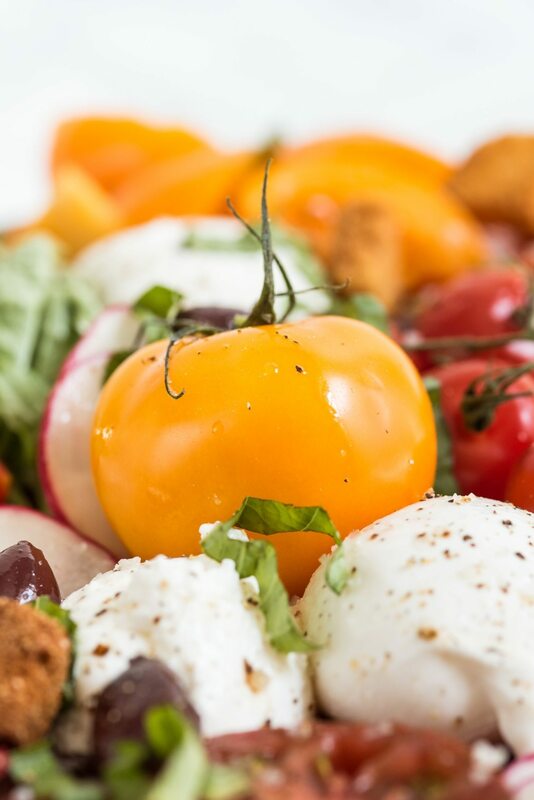 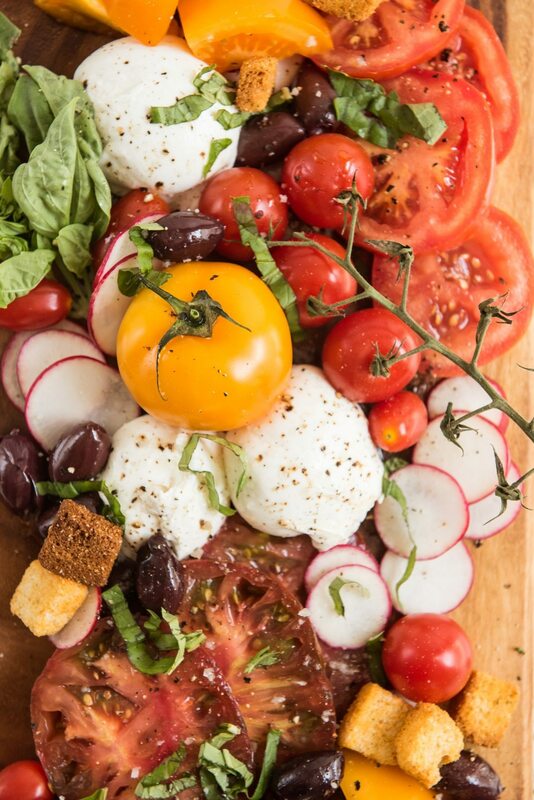 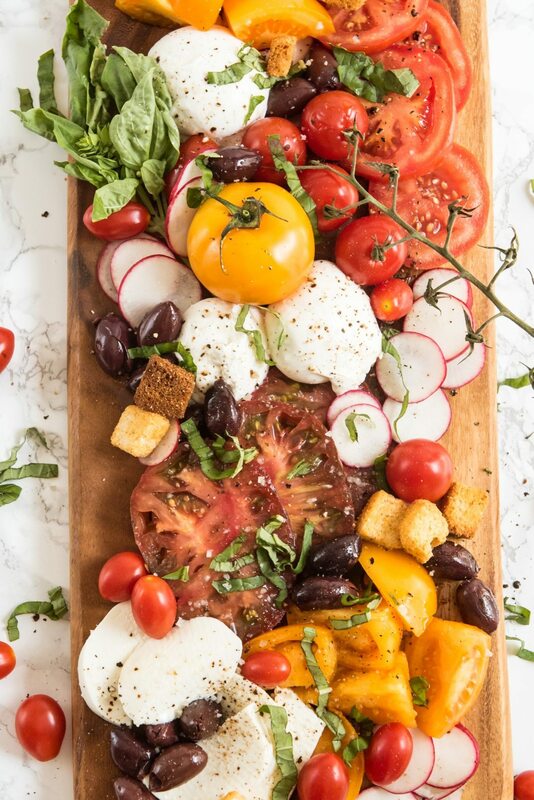 People love a great cheese board, but this is spin on the classic is even better with an excess of good fresh mozzarella and burrata, loaded up with a variety of tomatoes. 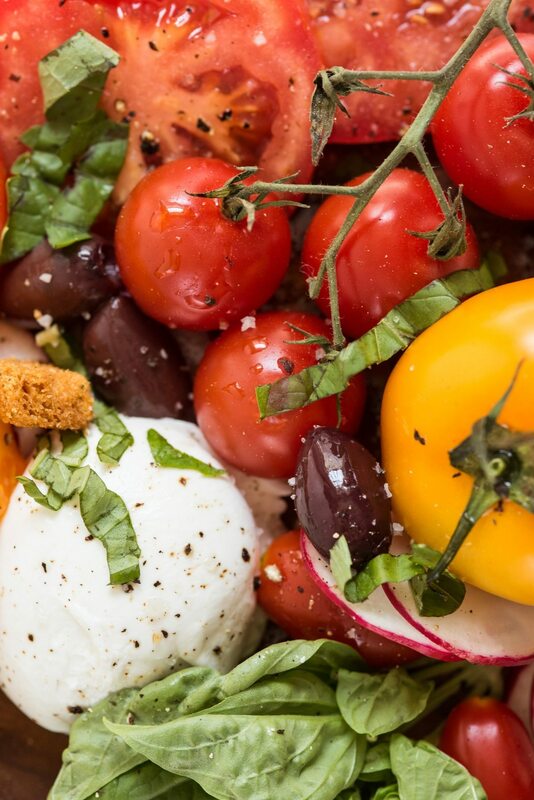 Drizzle everything with a good olive oil, max out on fresh basil, then sprinkle the whole mess with yummy coarse grain sea salt and you’re in business. 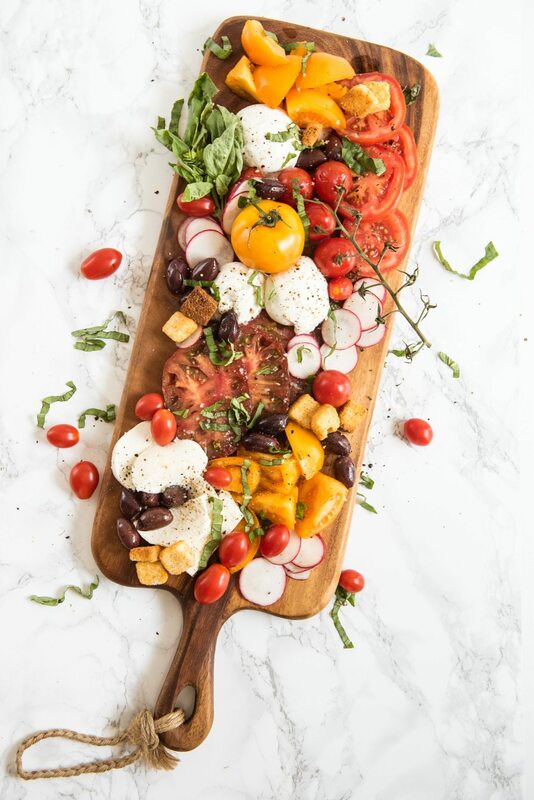 Chiffon basil and sprinkle over top. 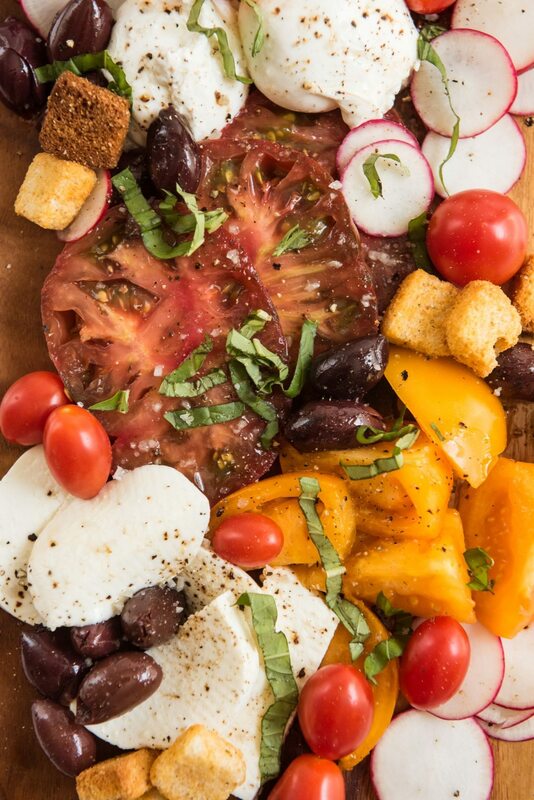 Finish with black pepper and sea salt.